Dust mini blinds, wash your car, soak up spills, or bathe your pet. 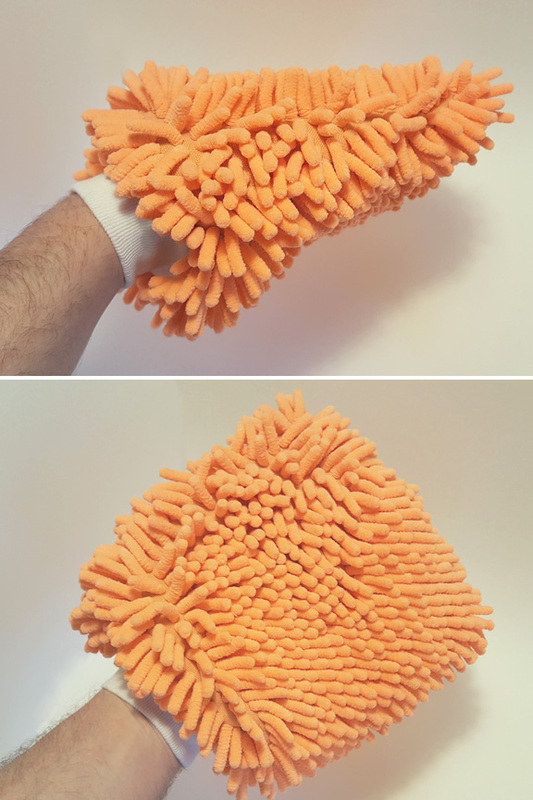 This versatile cleaning mitt is ideal for a wide variety of jobs, and it works quickly while producing amazing results. 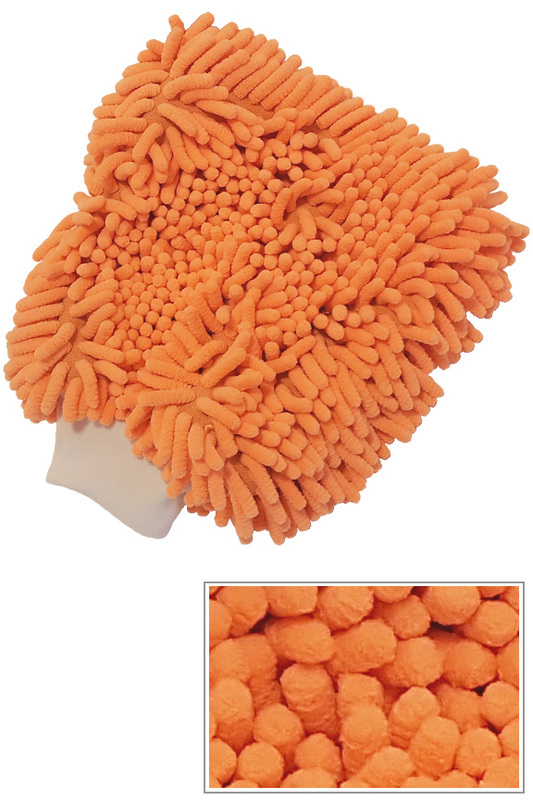 The fluffy exterior is made from a specialized microfiber material, and it has a chenille texture with long, chunky pieces. The floppy fibers gently skim surfaces, and the microscopic threads lift up dirt and moisture to lock them in. It can be used wet or dry depending on the job, and it will remove stubborn dirt with only water as an additive. You can pair it with soaps and other detergents if desired, but it also offers an easy way to clean grime without using harsh chemicals. The advanced material is highly absorbent, safe for all surfaces, and able to deep clean without harm, so you can use it with confidence for all sorts of jobs around your home, office or vehicle. When dry, it's awesome for removing dust from dashboards and other surfaces inside your vehicle, but when soapy and wet, it also makes the perfect tool for washing exterior surfaces. Use it inside your home to clean up after kids and pets, or as a fast and easy way to dust bookshelves and other furniture without touching the dirt. It's totally washable and reusable, with rugged construction its designed to last for years, even with regular use. Washing or drying your car. Bathing your pet or quickly cleaning messes they make. Dusting your home, or the dashboard in your vehicle. Uses Wash your car, dust your house, bathe your dog and more. This versatile cleaning tool can be used wet or dry and in multiple locations. Wet Or Dry Both. Use Dry to quickly clean and dust, or use wet to deep clean, wash or bathe. Washable Yes. Machine wash as necessary to use and reuse for years. A powerful and versatile cleaning tool. This oversized mitt is ideal for fast and easy cleaning of your home, office, vehicle or pet. Order Yours Today! High Quality Glove for Cleaning Blinds and Other Surfaces.